Many places across the United States can be consider wonderful or pleasant but Florida is Paradise by definition. It is an idyllic place or state that makes you extremely happy and at peace. Destinations across the whole state can capture this mantra but the Paradise Coast is by far the best. When you are exploring this incredible coast in Southwest Florida, make sure you adventure out and truly experience what Naples Saltwater Fishing can truly offer you. 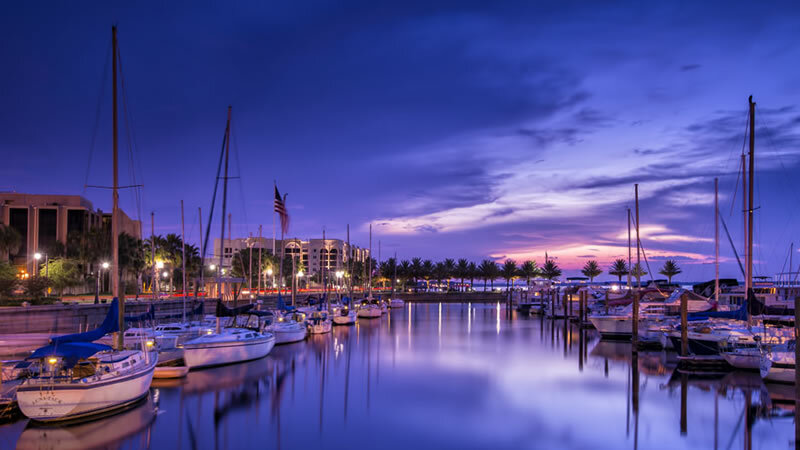 Paradise Coast is a cultural gem worth experiencing while visiting Florida consisting of Naples, Marco Island, Everglades City, Immokalee and Ave Marie. 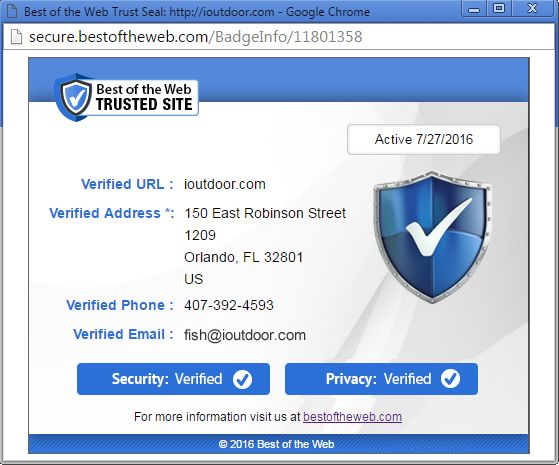 It is filled with an abundance of excellent experiences including night life, resorts, white sandy beaches and most important true Florida Outdoor Adventures. Paradise Coast Fishing is by far the best way to truly explore this incredible corner of Florida. 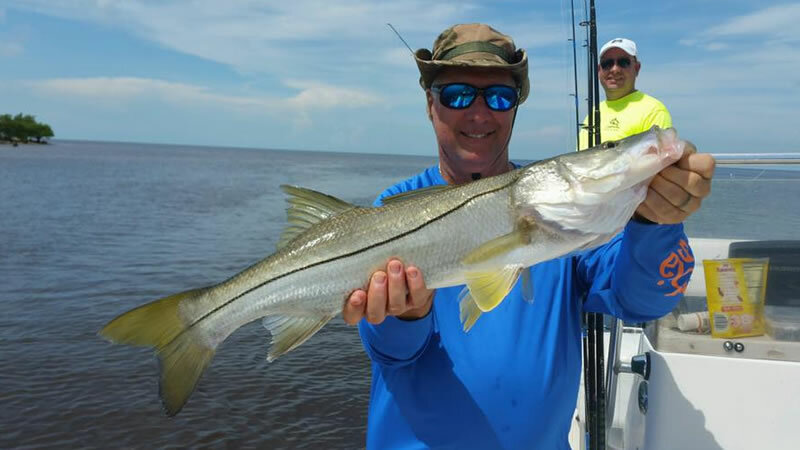 While on vacation in Naples, one of the premier cities for saltwater fishing, enjoy a short cruise to the inshore waters to catch an abundance of Florida species. Depending on the conditions, you can be right off where your toes were in the sand the previous day. Most of the inshore fishing can be experienced very close to shore. The hard sandy bottoms allow for a variety of great species to be caught. May and June are fantastic months to saltwater fish here in Naples. As our professional captains get the water ready for a battle of a lifetime with chum, enjoy the views of the cities and gorgeous paradise coast. Snook are beginning to cruise the beach lines and inshore waters especially during this time. Snappers, sheepshead, and lady fish are a more consistent catch. These hard bottoms especially in the month of June will attract small goliaths along with smaller sharks you can have fun fighting and catching. Blue Runners are also a great aggressive species to reel in which can provide excitement for anglers of all levels. 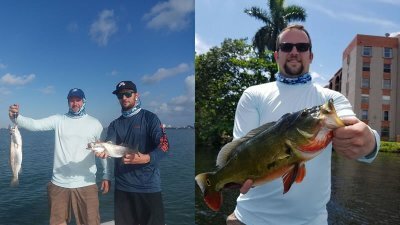 Captain Nick Pasquarello and Captain Rick Mitchell cover an expansive amount of inshore waters to make sure they put you on the best fish possible! All year round you can find quality species and fish that are considered resident fish and don’t relocate to spawn. The furthest you will ever go out on a Naples Inshore Fishing Charter would be 7 miles. The interesting part about fishing Naples is that you have to travel much further to get into deep water. At 7 miles out, you are only in 35 feet of water. Enjoy catching up to 60 fish while bottom fishing snappers along with the variety of other species listed. Small hooks and shrimp are the best method to catching these species. You can also count on catching bonito, Spanish mackerel and even blue fish while traveling and fishing these waters. If conditions are not conducive to fishing that far off the coast, the mangroves would be the next destination. The mangroves hold excellent waters to catch Snook, mangrove snapper and lady fish. Using corks and shrimps keep the bite exciting for the vacationer looking to set the hook. Inshore species excluding the snook bite light so you have to set the hook gentle and often. 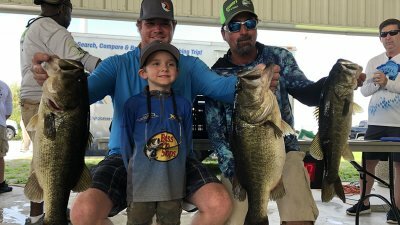 While many anglers would enjoy inshore fishing, Naples also has some of the best offshore fishing in Southwest Florida. Take a beautiful boat ride to the offshore waters of Naples. Your professional captain will work endlessly to put you on fish in waters much deeper than the inshore. While fishing 9+ miles off the coast, enjoy fishing for species you can catch all year round. While species may appear to be the same, they are not. Red Snappers which are a much more exciting species and harder fighter up to 8 pounds on average can be caught in deeper waters. Yellow Tail and Vermillion Snapper are also excellent catches to catch year round and strongest in the summer time. If you are looking for game fish like Kingfish, the best time to catch those are when the water is cooler in the winter time. You can also count on catching grouper of all sizes all year long. Offshore Fishing Naples Florida is such a unique experience especially while you are reeling in excellent catches. Whether you are looking for action packed fishing days or to fill up your cooler, off shore fishing is the way to go. Enjoy not only the ride but the consistent bottom fishing bite. Let your captain take you to the best waters for doing so, relax as they put a rod rigged and ready for action in your hands and make sure you set the hook once you feel the bite. 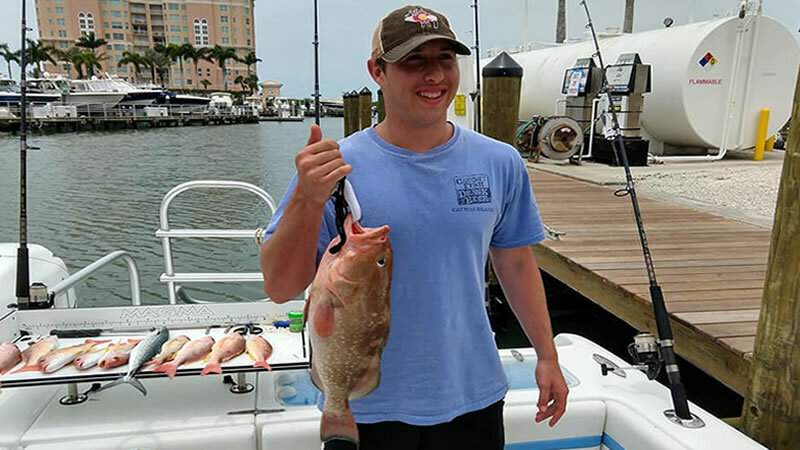 Captain Mark Rogers is highly knowledgeable of the waters and will work hard to put you on the best bite! 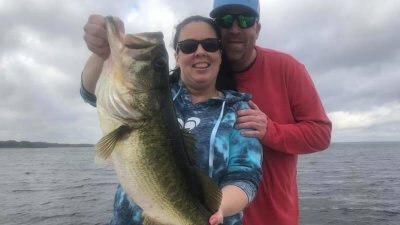 If you are a fish lover and you love to eat fish, Naples Saltwater Fishing along the Paradise Coast is the destination activity for you. Snappers, grouper and snook are some of the best eating species. Make sure you allow your captain extra time after you have docked to clean up your catches to take home. If you are here on vacation, visit local restaurants that will cook your fresh catch that you bring in. Never miss the opportunity to truly get a taste of Southwest Florida. Florida Fishing is by far the best way to soak in the sunshine. It is also a very relaxing and exciting way to experience the outdoors here in Florida. The Paradise Coast is not only the perfect destination for vacation but also holds excellent waters for Inshore and Offshore Fishing. Naples Saltwater Fishing is one of our specialties and we pride ourselves on our professionalism and knowledge toward crafting our passion. Don’t miss out on an adventure of a lifetime which could be perfect for the family or loved ones while visiting Florida. Let’s get you hooked up today! 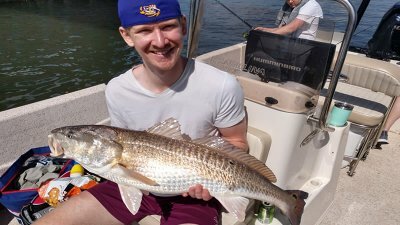 If you enjoyed this post about Naples Saltwater Fishing, you might also enjoy Marathon Fishing, Amelia Island Fishing, or our Fishing Blogs.